Youth Welfare Federation organized their annual DCRUST tree plantation camp on 24th August 2016. Student started gathering near university canteen around 9am. Just few days back Dera Sacha Sauda organized worldwide tree plantation and planted 40lakh trees inspiring YWF to do their part. University staff also supported the initiative, Dr. Santosh Sandhu was there with YWF volunteers the whole time. Dr. D.P. Tiwari (HOD of Chemical Department) and Mr. Parveen Kumar (Architecture Department) also planted trees then congratulated students on taking part in socials works. About 150 students were actively present in camp planting total of 120 plants in about 40 minutes, university staff helped students throughout. 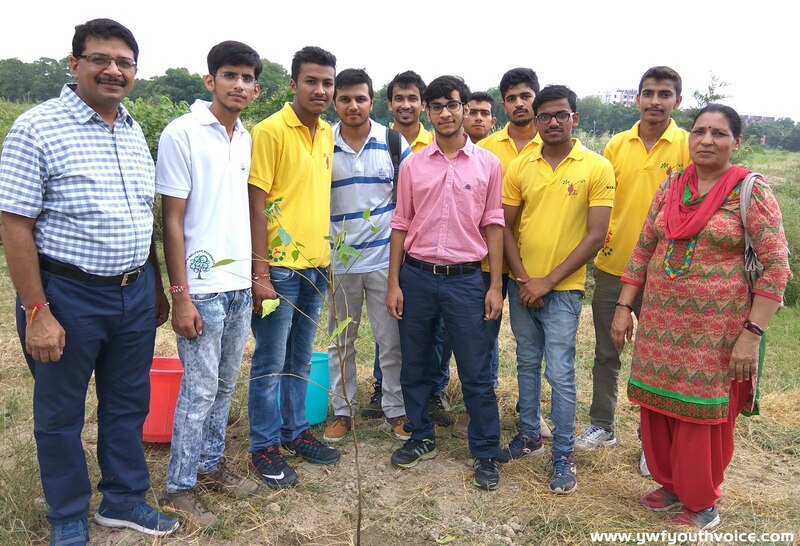 YWF volunteers asked the students to take pledge to take care of their plants for at least 5-6 months by checking and watering them time to time. YWF has planted over 4500 trees till now. Click Here to See All Photos of this event!